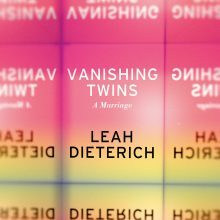 Leah’s memoir, Vanishing Twins (Soft Skull Press) follows her life as a professional ballet dancer, to her consuming love and marriage to her husband, their exploration of polyamory, and the struggle to be her own person while also craving dangerous, disorienting intimacy. The prose is slick and swift, unfolds as a ballet. The pages themselves are spare, and create a vulnerable, exposed feeling. 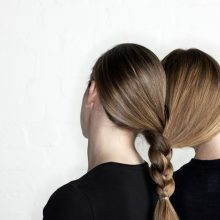 It approaches the distance that is always, inevitably, between two people—the distance between a wife and a husband on opposite coasts, a wife and a lover in Spain, a writer and the person on the page.